With our CI series, you have the option to build your own enclosure, or source a local cabinet maker. International customers can also save on shipping. 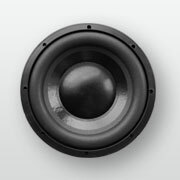 Customers who would prefer to buy a finished product fully assembled are recommended to choose from our finished subwoofer range. 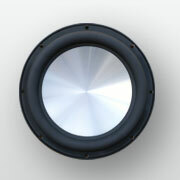 We supply box plans for our 12" and 15" CI subwoofers. These plans are simple and effective and feature a down firing design which doesn't require a grille to protect the driver from damage. Other designs can be equally effective, and in our customer gallery you can see what others have built. 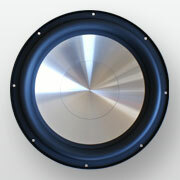 For open baffle and infinite baffle enthusiasts, we present the only servo solution on the market. The advantage of the paper cone is that a smooth and extended upper response is possible. 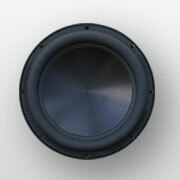 GR research driver: Features low mass paper cone for excellent transient response and a smooth extended response. 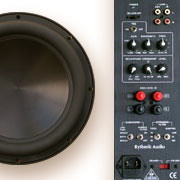 In addition to existing range, we now provide subwoofer plate amplifiers featuring parametric EQ, balanced inputs and higher powered models. With other products on the market, after purchase you are on your own. It's up to you to design your own box and you bear all the risk. 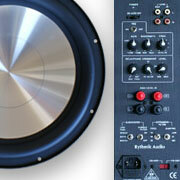 Many will not achieve the desired bass extension without modification to the amplifier which will void warranty. 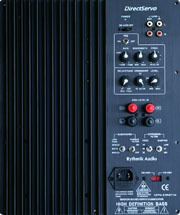 Many amplifiers feature bass boost which will not suit most serious enthusiasts. 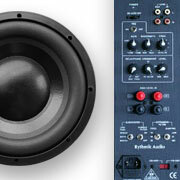 It's very common for diy enthusiasts to modify the amplifier to remove this boost at their own risk. None of our products require such changes. All of our amplifiers have been designed for the driver supplied and will achieve the target response without modifications. You don't have to be an expert to use our CI products effectively.